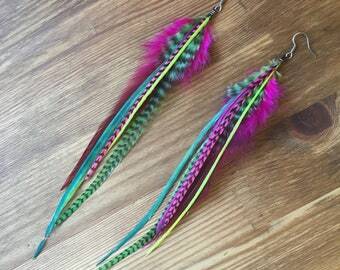 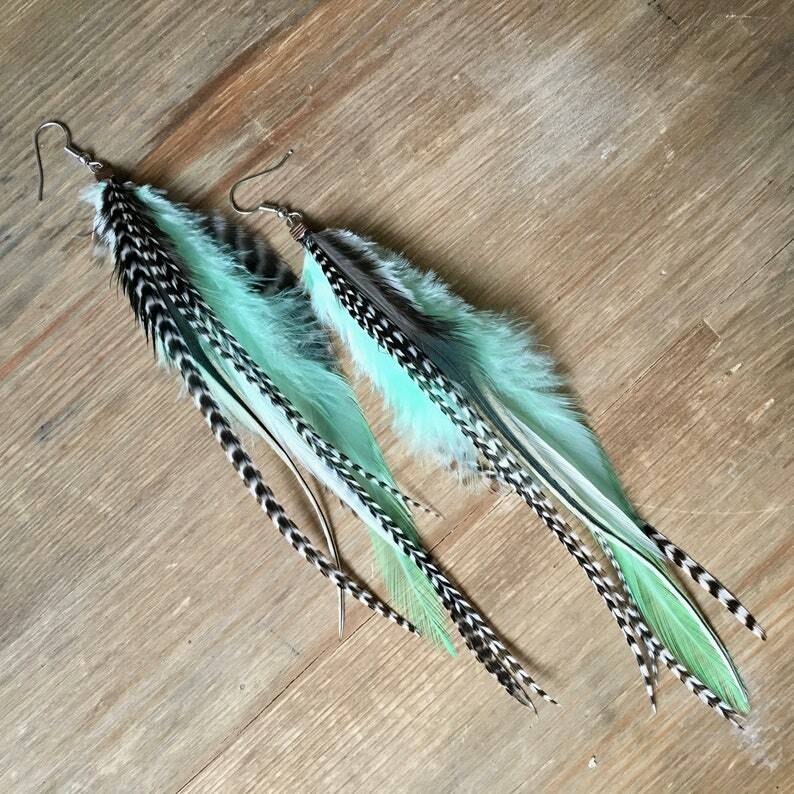 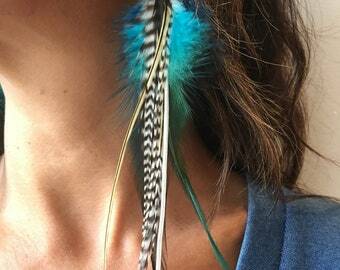 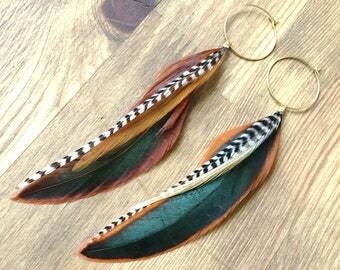 These light mint and striped feather earrings, feature flexible feathers that have really good movement. 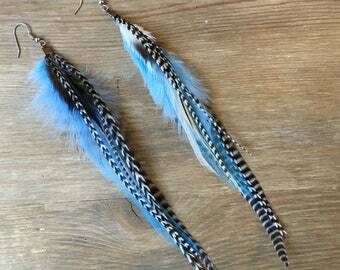 They are lightweight and look great with hair up or will mix with your hair down. 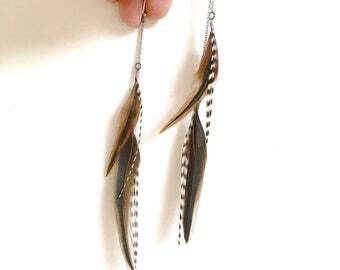 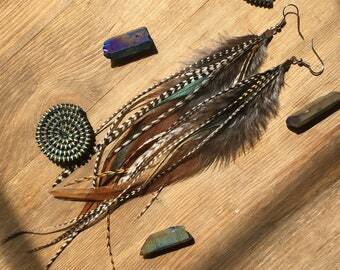 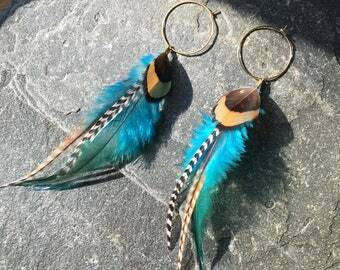 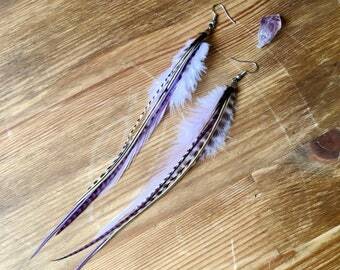 Materials: Earring hooks are stainless steel, feathers are sourced from North America. 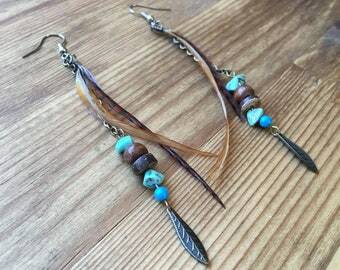 Canadians should receive their packages within 3-10 business days. 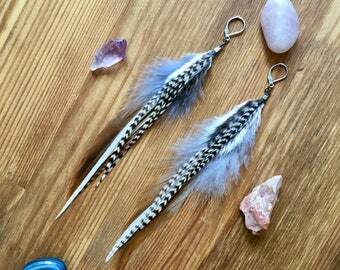 Those in the US, should receive their packages between 4-12 business days. 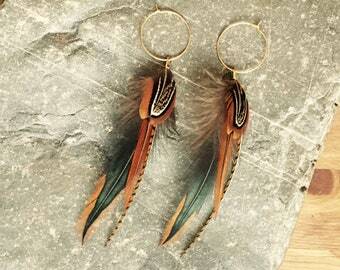 International orders will arrive within 6-20 business days, depending on local postal norms.